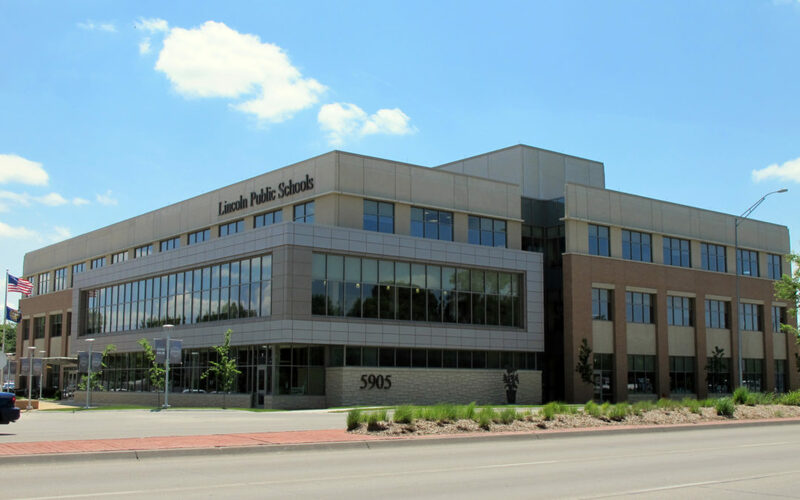 With the July 1, 2013 move-in date on the horizon, construction on the Lincoln Public Schools District Offices pushes ahead. Diversified Design Group, Inc. is providing the AV Systems design and construction oversight for the new District Offices. Bid documents have been sent out & the contracts awarded. The new AV Systems provide state of the art communications capabilities in the LPS Boardroom, Executive Boardroom and three training rooms. The heart of the video system is a 16×16 high-definition AV matrix switcher and a 16-input high-definition video production switcher/broadcast control panel. This is coupled with a 24-channel digital audio mixing console and a 20×10 audio matrix digital signal processor. Touch panel controls in each room will provide easy setup & usage. The system for the Boardrooms routes high-definition AV signal from 16 different sources to three high-definition video projectors and six LCD flat panels, as well as feeds for video teleconferencing and a broadcast feed to the local cable television studio. Audio in the Boardroom is handled by a 4-channel power amplifier and 29 coaxial ceiling speakers.